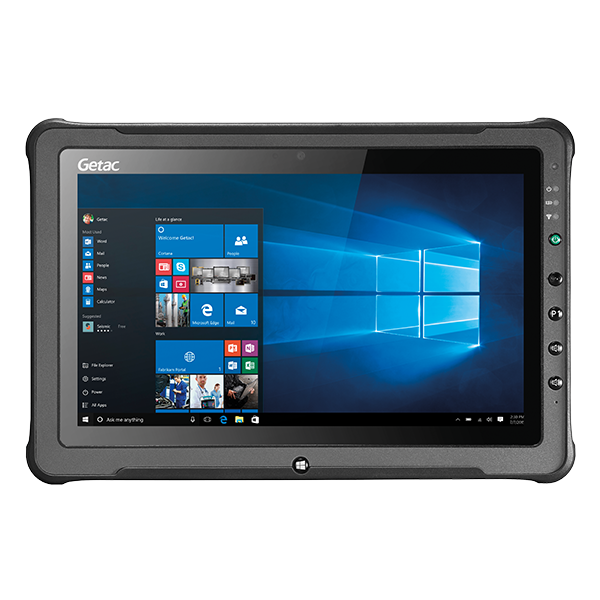 Getac has released the next generation of its fully robust Tablet PC F110. 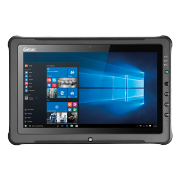 The field service device with a bright 11.6'' touch display combines a pre-installed Windows 10, an Intel Kaby Lake Core processor and an Intel HD 620 graphic card for top performance in the most adverse conditions. Add to this an optional infrared camera, which, thanks to the face recognition capability of Windows Hello, allows for a simple yet secure method of locking the tablet. The F110 also features qualities with which users are already familiar: fast communication via WLAN dual band 802.11 a/c and Bluetooth, an integrated HD webcam and an 8 megapixel auto-focus camera, as well as two independent batteries which ensure for up to 12 hours of operation. But there's still more: since the tablet is MIL-STD-810G, MIL-STD-461F and IP65-cerfified it is naturally robust enough to reliably accompany users no matter what the weather is. To learn more about the prices and delivery times of the new generation Getac F110, simply contact your sales representative. Don't wait, call today at (43-1) 485 26 05-0! The area imager DS2278 from Zebra: pre-order now at Jarltech!